London: Collins, 1985, Hardback in Dust Wrapper. Signed by the author on the half-title page beneath his name — unverified and reflected as such in the lack of premium. Illustrated by way of: Colour Plates; Black & White Plates; Chronology Tables; Laid in publishers compliment slip and exhibition invitation. From the cover: “S. 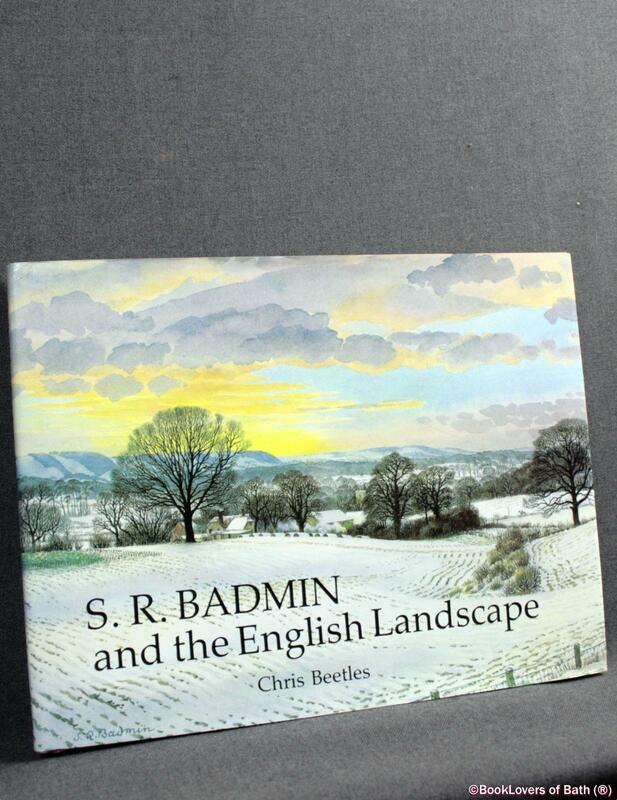 R. BADMIN AND THE ENGLISH LANDSCAPE is a celebration and appreciation of one of Britain’s foremost watercolour painters. The work of Stanley Roy Badmin is uniquely familiar and dear to the post-war generation. No other artist has had such consistent popular exposure: for forty years his beautifully detailed and romantic landscapes have graced nature books and travel guides, Puffin Picture Books, the covers of Radio Times and Reader’s Digest, and innumerable greetings cards and calendars. 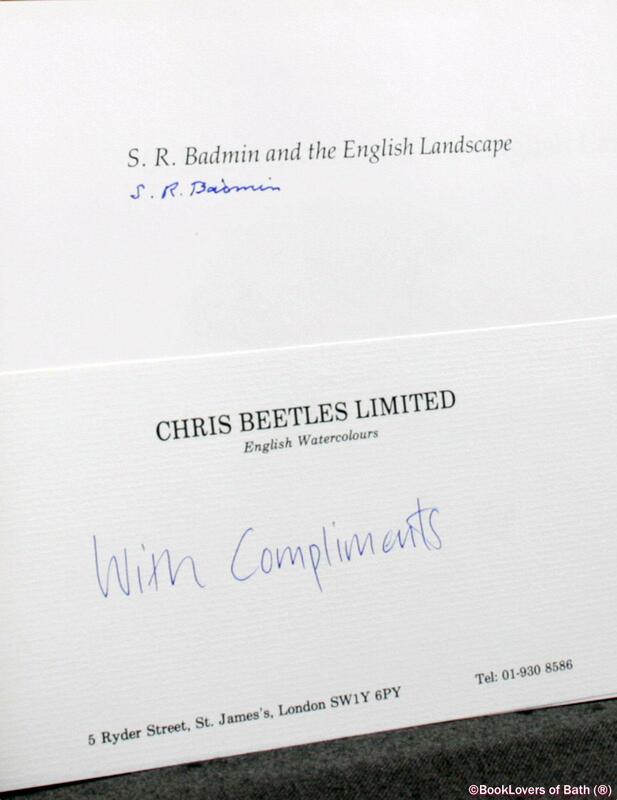 S. R. BADMIN AND THE ENGLISH LANDSCAPE is an authoritative and long-overdue survey of Badmin’s life and art. The text is lavishly accompanied by a selection of his book illustrations as well as a wealth of his sketches taken from over sixty years of careful work and loving observation of nature. 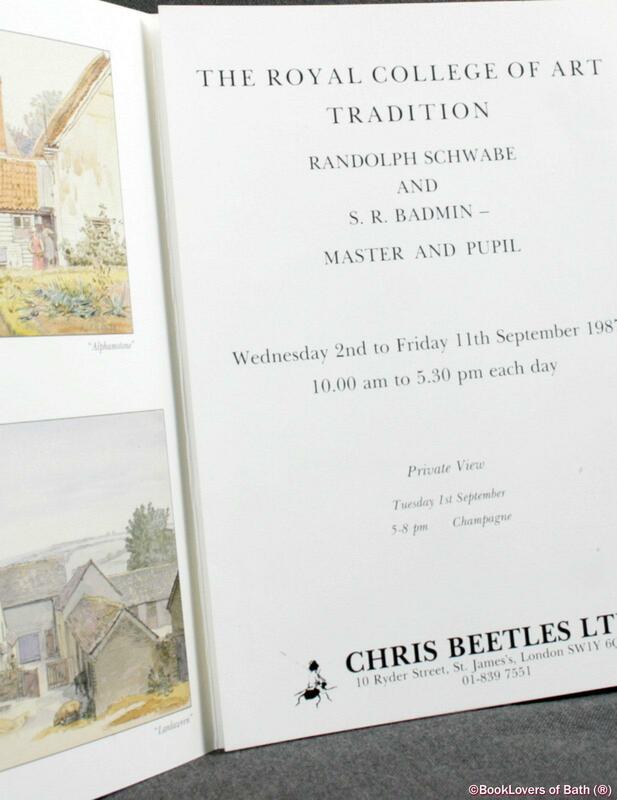 The text is followed by a catalogue raisonne of Badmin’s etchings, many of them reproduced here for the first time, together with full-colour reproductions of forty-four of Badmin’s best watercolours. The detailed captions to the plates are based on the artist’s own memories, giving a privileged insight into the technique and inspiration for each work. A list of exhibits and book illustrations and a full chronology complete this account of England’s most popular watercolourist. Size: 7¾" x 10¼". Brown boards with Gilt titling to the Spine. 157 pages.